W. Allan Jones established the Allan Jones Foundation in 2000 as part of his continuing effort as a good corporate citizen in his hometown of Cleveland, (Bradley County) Tennessee. The Foundation actively supports organizations that help improve the quality of life and general welfare in communities in which Jones’ employees work and live. For these reasons, the Allan Jones Foundation contributes to educational, health, cultural, social betterment, civic, historical, and environmental projects, as well as some other charitable organizations whose programs and objective promote quality of life. The Who's Who of Cleveland came out recently to honor Allan and Janie Jones for their work and contributions to the Museum Center at 5ive Points and the community at large. Please press play to see the video in full. 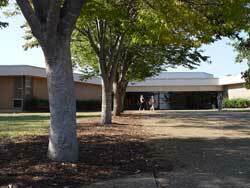 Tree seedlings grafted from trees planted by the famous John Chapman (Johnny Appleseed) were purchased by the Allan Jones Foundation and a tree grove planted and donated to each city and county elementary, middle and high school in Cleveland (Bradley County, Tennessee. A study curriculum was also donated for students to study the legendary man who planted apple trees in his trek across the US over 100 years ago. Allan Jones, founder and chairman of Check into Cash, Inc., presented a challenge gift that will make possible construction of the University of Tennessee Intercollegiate Aquatic Center on its campus in Knoxville, Tennessee. 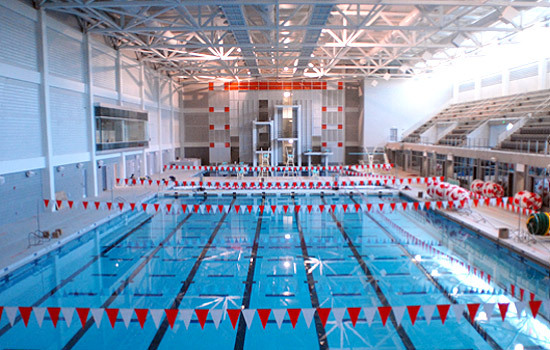 Read about the dedication of the Allan Jones Intercollegiate Aquatic Center which took place in August, 2008 in the Articles section of this website. 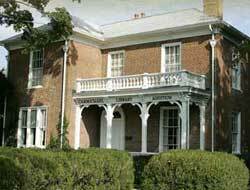 Historic Craigmiles House (built in late 1800s) was purchased by Allan Jones Foundation and donated to the Cleveland Public Library (Cleveland, TN) to use as a library addition in memory of the late Judge Virgil F. Carmichael. 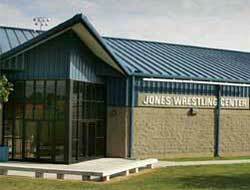 State of the art wrestling facility was built on the Cleveland High School campus in Cleveland, TN as a gift to the alma mater of Allan Jones and as a tribute to his father, the late W.A. (Bill) Jones, after whom the arena is named. 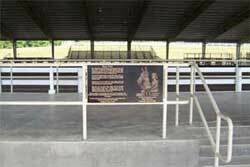 This plaque at the Tri-State Exhibition Center is in recognition of Allan Jones’ contribution that allowed for construction of one of the three barns on the 92,000 acre facility which hosts several major horse shows and other community events each year. This 92-acre facility located on the outskirts of Cleveland, TN, is the site of numerous horse shows, art exhibitions and community events each year. To keep the center as a viable venue for a wide variety of attractions, Allan Jones has donated $300,000 as part of a facility expansion program. The Center offers a 70,400 square-foot covered show arena with bleachers and a raised box seating area, plus 2 outside arenas, 3 schooling areas and 3 barns with a total of 208 stalls. An annual bluegrass festival, a national championship rodeo, community fairs and dog shows are just some of Tri-State’s highlighted events. The W.A. (Bill) Jones Memorial Scholarship was established at Cleveland State Community College in Cleveland, TN, by Allan Jones and his sister, Amy Jones Banks. The endowed scholarship was established as a way to honor the memory of their father, the late Bill Jones. 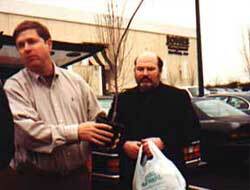 As a civic leader, Mr. Jones was very active in the community. He was the president of the Chamber of Commerce at the time that Cleveland State received its charter. The scholarship, established in 1986, provides assistance to Cleveland State students based on the criteria of need and academic record. Even though Allan Jones graduated from Cleveland High School, he is equally generous when it comes to his old alma mater’s chief rival, Bradley Central High School. Witness his more than $100,000 donation to Bradley’s wrestling facility. The Wrestling Practice Room at Bradley High was donated by Jones in honor of his parents, W.A. (Bill) and Virginia Slaughter Jones, both graduates of the school. With Jones’ help, Bradley is perhaps an even more formidable foe now than back in the day when he wrestled against them, as evidenced by their many championships. A major supporter of amateur wrestling, both at the high school and college level, Jones is a recognized stalwart in the annals of the University of Tennessee at Chattanooga’s wrestling program. Whether it’s for equipment, scholarships, or the wrestling building itself, Jones’ $150,000 dollar donation has made a healthy impact on the UTC program. Dan Gable is a legend in the wrestling world. As an Olympic competitor in the Munich Games of 1972, he brought home the Gold Medal. And as a college coach, he was a two-time NCAA champion and brought Iowa 15 NCAA titles and 21 Big Ten team titles, not to mention “Coach of the Year” three times. To honor this legend and help continue the fine work that he does, Allan Jones was proud to make a sizeable donation to the Dan Gable International Wrestling Institute and Museum in Waterloo, Iowa. 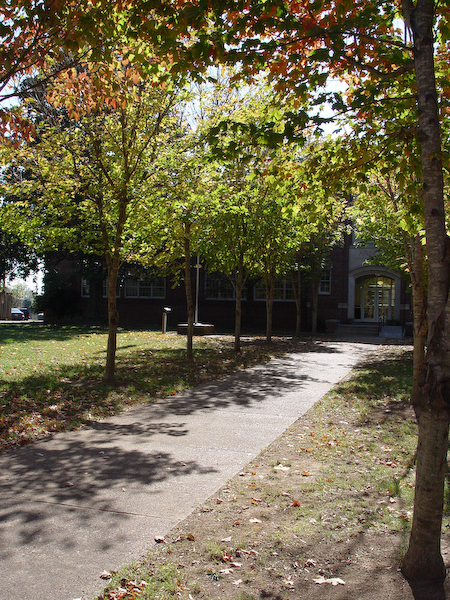 Located on a five-acre site along state highway 73 in Townsend, Tennessee, the Great Smoky Mountain Heritage Center was created to preserve, protect and promote the unique history and rich culture of the residents and Native Americans of the mountain communities in East Tennessee. 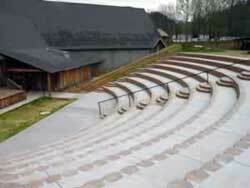 After visiting the center on a day trip, Jones was especially taken with the unique amphitheater there. Set amidst the beauty of the Smoky Mountains, the facility seats 500 and features a 24 x 12 foot stage. 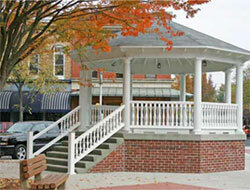 Jones’ donation will ensure that the amphitheater continues to bring enjoyment to everyone who visits. In honor of his continuing contributions to schools in his area, Allan Jones has been named Contributor of the Year for Athletic Districts 1, 2, and 3 in the state of Tennessee. The award is given to individuals displaying the high ideals of integrity and ethics, and for the examples of citizenship and sportsmanship shown. This is the first year that TSSAA has honored contributors as part of the A.F. Bridges Awards program. 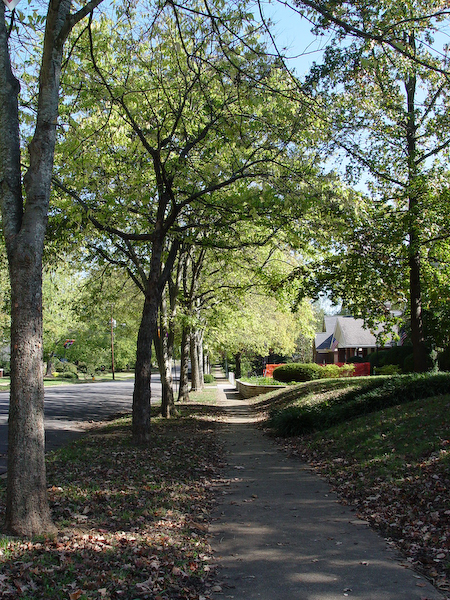 Greenway Park at Willow and Keith Sts. 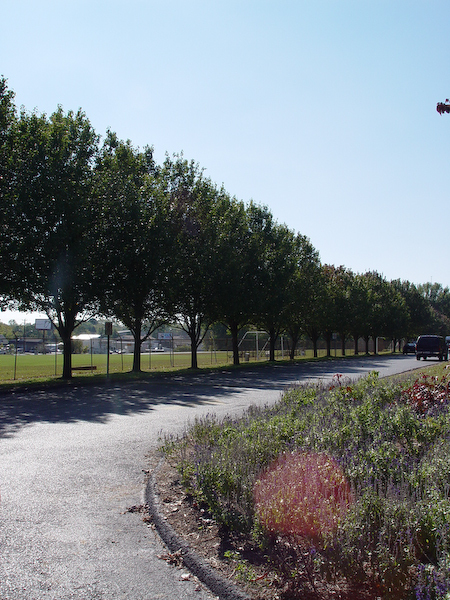 Cleveland’s Greenway is a project that the entire community can be proud of. 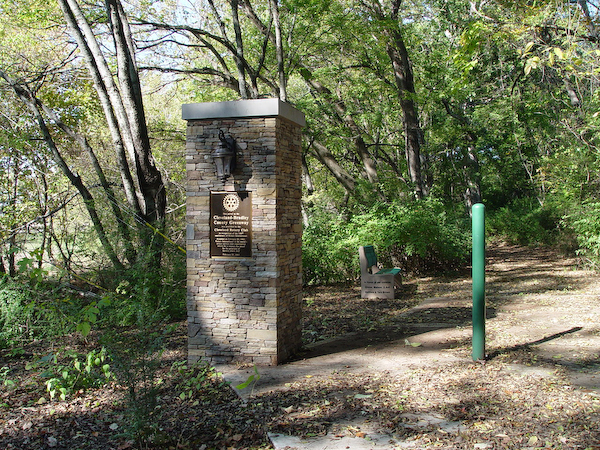 The Greenway is a system of paved interconnected pathways that allow walkers, hikers, bikers, and joggers to traverse the city of Cleveland from one end to the other. Running alongside well-traveled roads, the Greenway is a safe thoroughfare for all who want to exercise or just get out and stretch their legs. 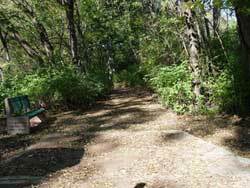 The Greenway has proven so popular that donations from a variety of sources have extended its reach, and Allan Jones was pleased to be a co-donor to create the shady park near the Southern end of the trail. 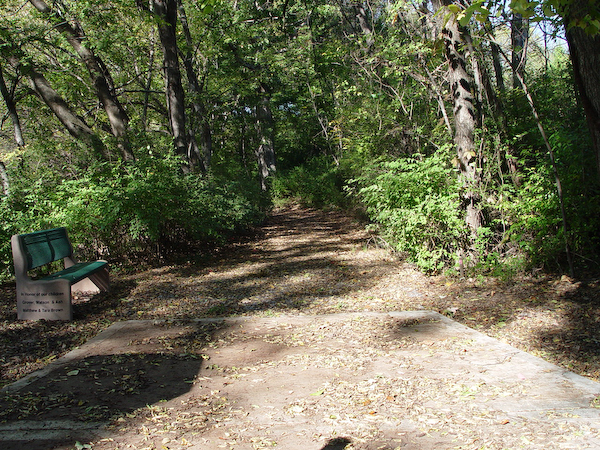 The park features picnic tables alongside a stream, just right for a place to rest or to linger longer. 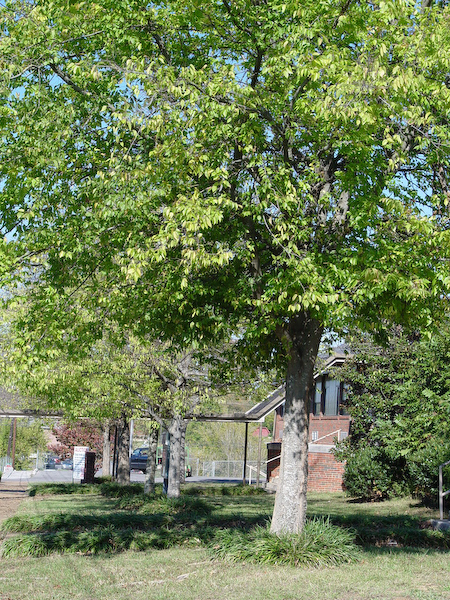 It’s no secret around Cleveland and Southeast Tennessee that Allan Jones is a “tree freak.” He has donated literally hundreds of trees to improve the livability of our community, as well as enhance the beauty of many public spaces and buildings. 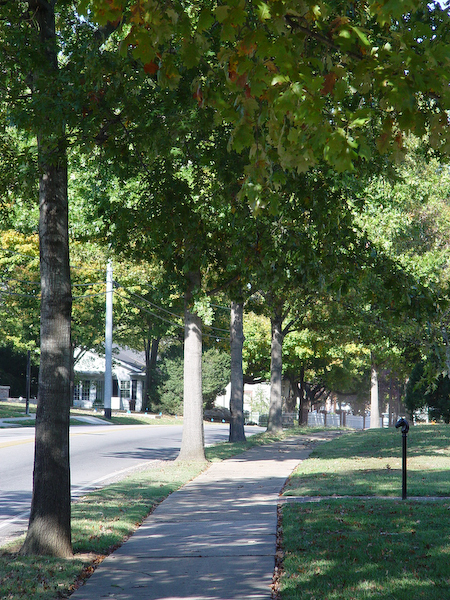 Indeed, Jones was responsible for getting Cleveland designated as an official “Tree City USA.” Among the major plantings that Jones paid for are the trees lining the long driveway entrance to Bradley Central High School, the trees along picturesque Ocoee St., all the trees in the downtown area and around the Bradley County Courthouse and on historic Centenary Ave. (both areas planted in honor of his father, Bill Jones), trees at Cleveland High School dedicated to the Class of 1992 from the Class of 1972, and at both Arnold and Mayfield Elementary schools. 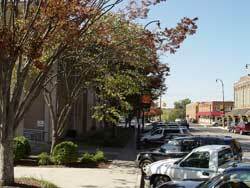 Most of the trees planted by Jones are Japanese Zelkova. 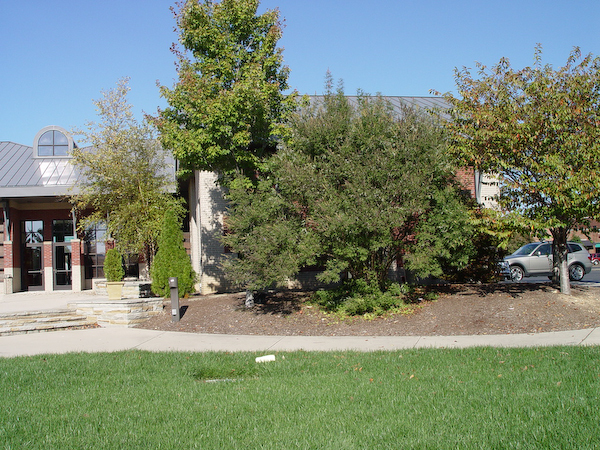 They provide good shade; easy fall cleanup; are tolerant of heat, drought, wind, and urban conditions; and considered a good replacement for American elm; plus they’re easy to transplant and a good street tree. 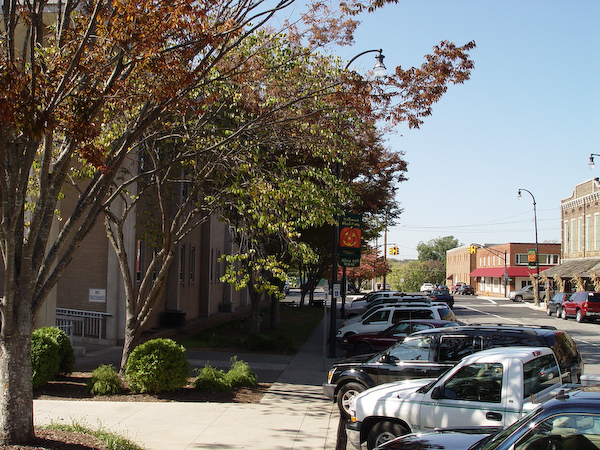 As the centerpiece of historic downtown Cleveland, the Museum Center at Five Points is a focal point for the community and offers a variety of cultural and educational programs for both children and adults. The intent of the museum is to preserve and interpret the history and culture of the Ocoee District by highlighting the adventures of its people. 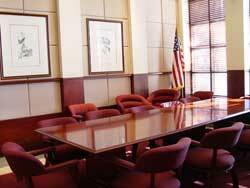 As a major contributor to the Museum, Allan Jones and family donated a conference room named in their honor. In addition, his donation allowed for the landscaping around the museum building. Another way in which Allan Jones shows his support of the area’s amateur athletics programs is to fund live television coverage of two important community sports events. The Tennesee High School State Championship Finals in wrestling are televised each year with funding provided by Jones. In addition, he pays to have the annual Cleveland/Bradley High football contest, not only televised, but also shown on the giant outdoor Jonesatron screen at the Village Green Town Center. 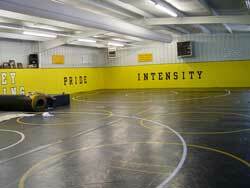 This Indianapolis, IN, high school—the largest township school in the U.S.—attracted Allan Jones’ attention with its outstanding wrestling program. With its powerhouse coaching staff and rich school history, Jones’ donation will help keep the young wrestlers and their determined coaches on the path to success. Captivated by the beauty of the Grand Tetons and Jackson Hole, WY, Allan Jones—like so many before him—quickly realized the importance of preserving this great resource for future generations. The Campaign for Our Valley, started in 1999, is a $25.5 million, three-year private fundraising effort made by the Jackson Hole Land Trust in order to purchase conservation easements for unprotected ranch land in Jackson Hole. To show his support of this conservation effort, Jones has donated $100,000 to the campaign.The non-profit Jackson Hole Land Trust has worked diligently with land owners since 1980 to preserve wildlife habitats and undeveloped land in the Jackson Hole area. As a $100,000 annual donor to the community’s United Way campaign, Allan Jones has distinguished himself as a member of the select deToqueville Society, an elite group of donors whose giving far surpasses the norm. This well-known charity provides an umbrella of community support through its numerous agencies that include everything from the Boy Scouts to the Red Cross. 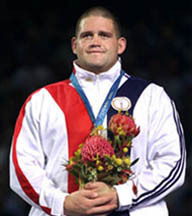 Through his donation to Rulon Gardner of the Sunkist Wrestling Club, Allan Jones enabled Gardner’s parents to travel to the Olympics to watch their son compete. And compete he did: Gardner won the Gold Medal in wrestling at the 2000 games held in Sydney, Australia. This Wyoming farm boy had traveled half-way around the world and defeated the greatest Olympic wrestler ever. His victory, called “the Miracle on the Mat,” was witnessed in person by his proud parents, thanks to the generosity of Allan Jones. Gardner’s championship match went down in the record books as one of the greatest upsets in Olympic history. Each year, Allan Jones gives generously to this worthy fund that provides money for needy children to Christmas shop. Area school teachers provide names of underprivileged children they deem worthy of participating in the program. Then, on a special Sunday, volunteers take the children shopping in small groups. Each child is given $100 to spend on gifts for themselves and their loved ones. This fund makes a big difference in the lives of those who otherwise would have no Christmas memories. In the spring of each year, on the eve of the Kentucky Derby, a lavish party is held in Louisville to benefit the American Diabetes Association. 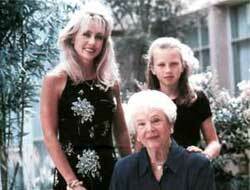 Tricia Barnstable Brown, the gala’s hostess, started holding the event after her husband died from diabetes in 2003. Since that time, the evening has grown into a black-tie scene populated by celebrities and a veritable who’s who from all over America. Allan Jones’ $10,000 donation helps make this a most successful fundraiser. To jump-start the Career and Technical Education Department at Cleveland High School, Allan Jones donated $5,000 to the Project “Lead the Way” program, a pre-engineering course introduced three years ago. One of the advanced classes successfully built a solar bicycle for a competition with other high schools and colleges nationwide. The Cleveland High team finished first in their division, and third overall. The class continued its work on the construction of another challenging project, a solar car. Allan Jones’ interest in and support of amateur wrestling has continued long beyond his own years as a competitor on the mat. Jones realizes the necessity of good coaches and how much they need to be nurtured. Accordingly, Jones has provided generous donations to this national high school and collegiate coaching body in the form of monies for a vital leadership course and for a weight training program. 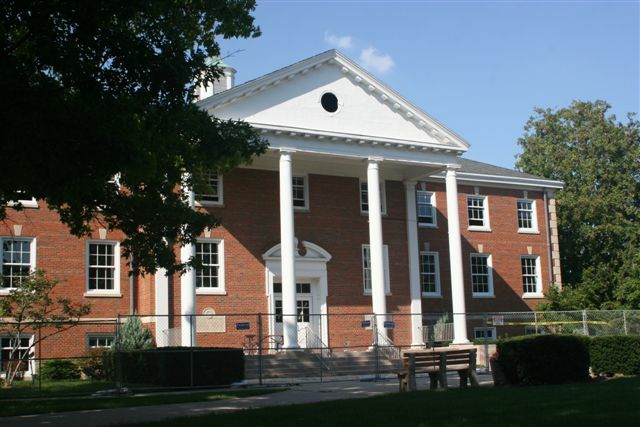 Wheaton College in Wheaton, IL, is home to the new J. Dennis Hastert Center for Economics, Government, and Public Policy. Allan Jones’ donation to this new center will help it realize its goals of advancing the study of market economics and representative democracies. The center honors Hastert and his career in public life, notably as Speaker of the U.S. House of Representatives. Hastert is a 1964 alumnus of Wheaton. The center will be housed in the newly renovated Memorial Student Center on the Wheaton campus. The Spartans of Manchester College in North Manchester, IN, are fortunate to have captured the interest of wrestling enthusiast Allan Jones. He rewarded the college’s wrestling program with a donation that will help them continue to build on an already fine tradition of success, which included eight straight Heartland Collegiate Athletic Conference championships, plus titles in 2002-04 and again in 2007. Not only do the area high schools benefit from Allan Jones’ generosity, but Cleveland Middle School was also fortunate to receive donations. Both the CMS football and baseball teams were recipients of Jones’ kindness, with the baseball team receiving a new ball field. And to nurture the next generation of fine wrestlers, Jones also provided some $12,000 to the Cleveland Middle School’s wrestling program. Once again, Allan Jones put away his favoritism and provided generous funding to a wrestling program at another area high school that was not his alma mater. 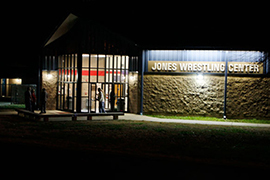 Jones has donated a considerable amount to the Mustangs wrestling program in an effort to keep it competitive with other schools in the area.